The newest addition to the popular series—122 all-new large-print crossword puzzles! 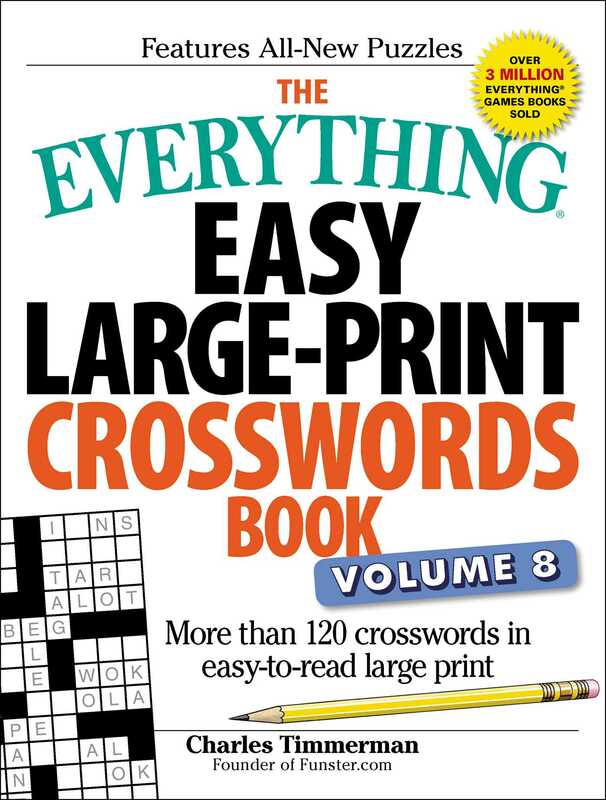 Everything is bigger in The Everything® Easy Large-Print Crosswords Book, Volume 8—the clues, the numbers, the grids—even the answers! Enjoy all of the fun—without the eye-strain—with these mildly challenging puzzles. With clues ranging from beloved books and classic TV shows to favorite foods and popular vacation spots, these light and easy puzzles are perfect for taking a break—without having to use a dictionary! Perfect for beginners and experienced puzzlers alike.